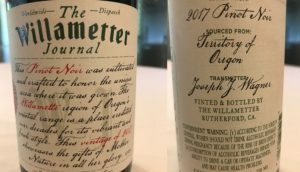 The Alcohol and Tobacco Tax and Trade Bureau ordered the owner of Copper Creek Wines & Provisions to change several wine labels, including the Willametter Journal and Elouan, according to a Portland Business Journal article. However, the agency stated that the company can sell its existing products already packaged under the misleading names. 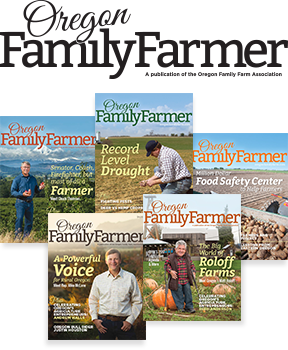 Rep. David Gomberg and the Oregon Winegrowers Association argued that Copper Cane was abusing the name of the Willamette Valley and Oregon grape-growing and falsely leading people to believe the wine was manufactured in Oregon rather than in California. Under federal rules, wines must use an American Viticultural Area designation that reflects the home state where the wine was fully finished. Although the popular Elouan label is produced in California, it mentions three Oregon AVAs—the Willamette, Rogue and Umpqua—simply because it uses grapes grown in those regions.